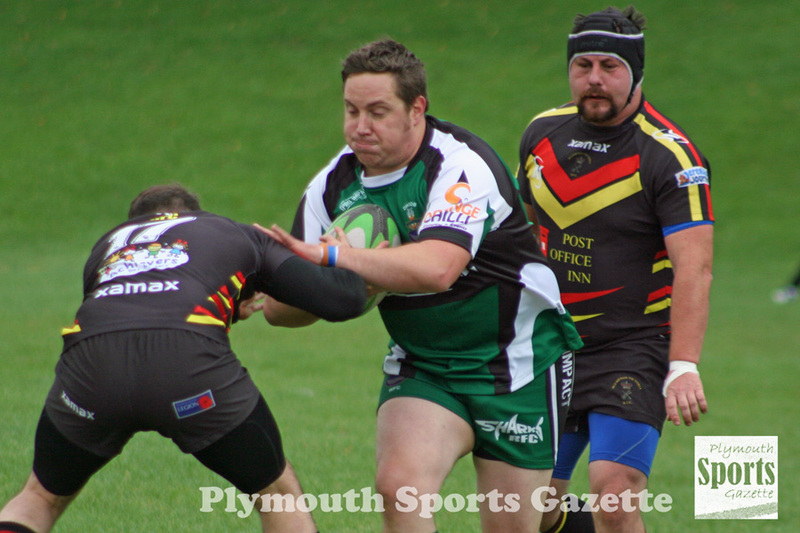 UNBEATEN Ivybridge were given a real scare at Cross-in-Hand on Saturday by struggling Weston-super-Mare. The Bridgers finally won 24-20 but they had to survive some real nervous moments in the closing stages as their Somerset opponents threw everything at them. Weston-super-Mare had four scrums on Ivybridge’s line in the closing minutes and the hosts even had a man sin-binned. But the Bridgers were able to hang on to make it six wins out of six. However, for the first time at home this season they did not get a try-scoring bonus. 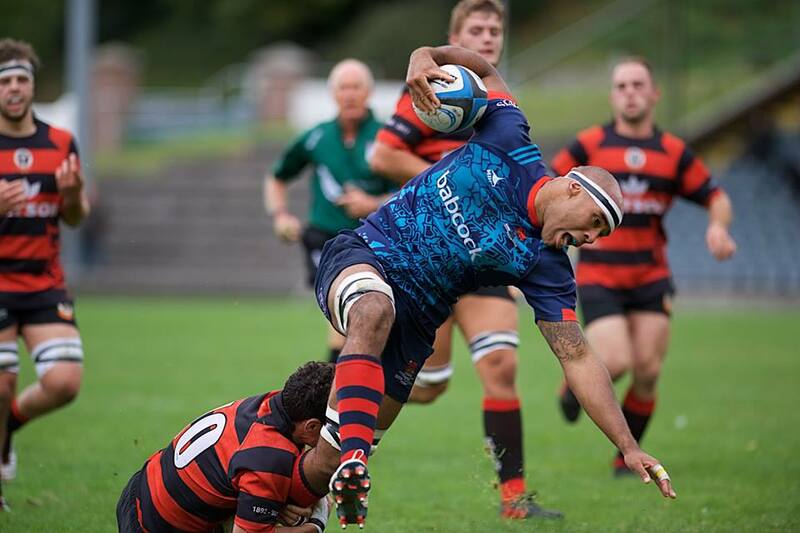 That means they are now a point behind leaders Bournemouth, who crushed Camborne 65-7 in Cornwall, but they do have a five gap on Barnstaple in third. Weston-super-Mare took an early lead with a converted try by Brad Talbot. Ivybridge, though, responded with a try by winger Damon Akerman. Billy Pinkus missed that conversion but he scored a try 10 minutes later, which he also converted to put his side 12-7 ahead. Weston kicked a penalty just before the break to go in just two points behind. And after the interval they went 17-12 ahead with another converted try. However, Pinkus kicked two penalties within the space of six minutes to edge his side back in front. He and Weston’s George Chapman exchanged further penalties to leave Ivybridge 21-20 ahead. Pinkus has been in great form with the boot this season and he added another three points eight minutes from time. But then Weston, who had started the day second-from-bottom, threw everything at Ivybridge, but somehow they hung on. 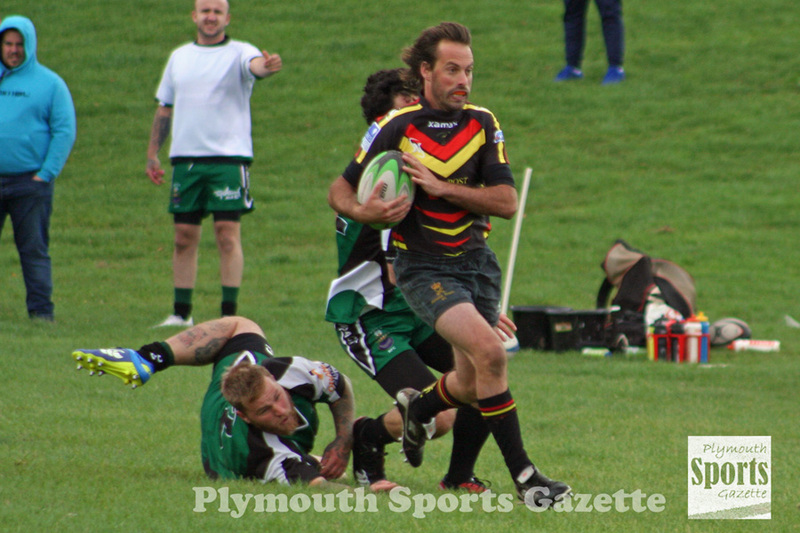 MATT ANSTIS finished with a 100 per cent kicking record as Devonport Services claimed their biggest win of the season at the Rectory on Saturday. Services beat struggling Cullompton 45-12, with Anstis converting all six of their tries and adding a penalty. It was the perfect way for Devonport to bounce back from their frustrating 36-31 defeat at Hornets the week before which ended a three-match winning run. They stay sixth in the South West One table, but are now just six points behind new leaders Launceston, who replaced Okehampton at the top. 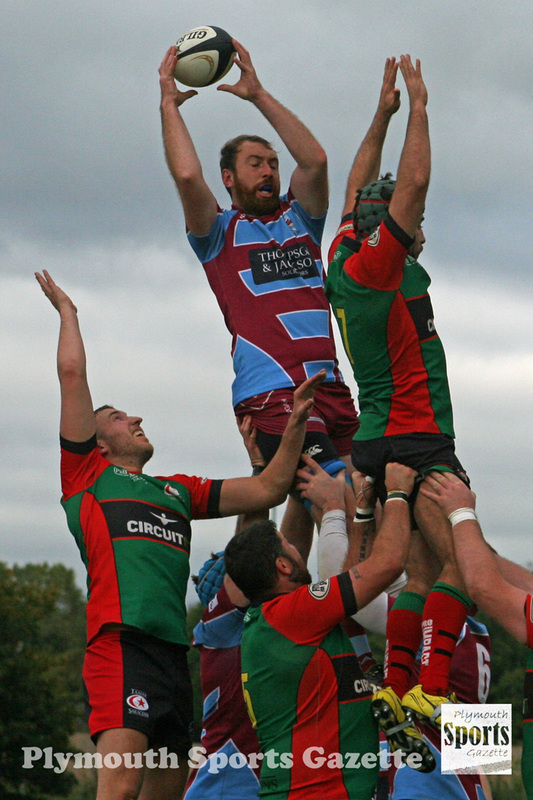 Services did not start well and after giving away a penalty, Cullompton scored from the line-out to go 7-0 up. But the hosts soon hit back and drew level when Liam Jarvis scored after good play by Tyler Busfield down the short side and Anstis converted. Callum Perkins then put Services ahead when he scored after Richard Goffin had done well from a line-out. Anstis again converted. And before half-time Devonport went 21-7 ahead when Busfield scored a deserved converted try. Busfield added a second after the break after Andy Pond had done well. Anstis again was on target with the conversion. Services’ scrum really started to get on top and after they had pushed Cullompton off their own set-piece, Kier Murphy touched down. Cullompton did pull a try back but Anstis kicked a penalty to make it 38-12. And, with the last play of the game, replacement prop Rocky Young found himself on the wing and he scored in the corner and Anstis again brilliantly converted. 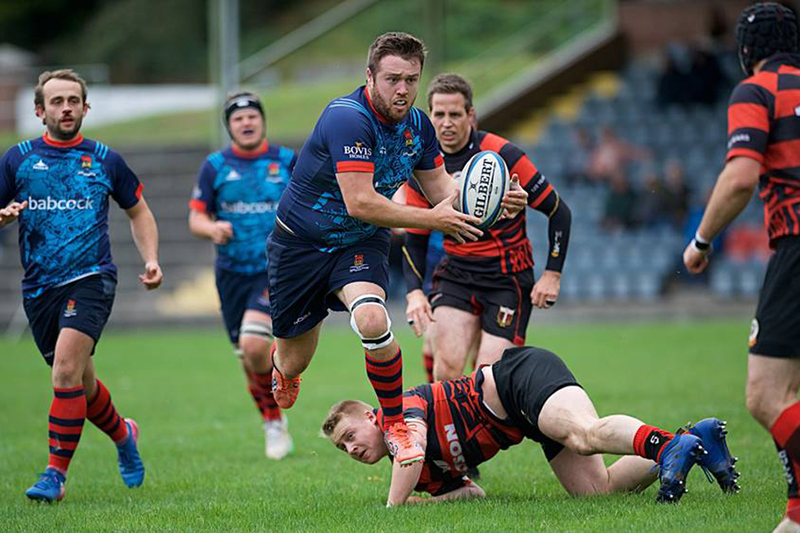 Saltash are still waiting for that elusive first win back in Western Counties West after losing 26-6 at home to the team that came up with them, Wellington. The Ashes made a good start and were leading 6-0 midway through the first half thanks to two successful penalties by Kieran Down. But those two kicks proved to be their only points of the day as high-flying Wellington went on to score four tries and pick up another five points to stay third in the table. Wellington, who are now just two points off the lead after Crediton drew at Falmouth, had Danny Lee, Cam Vern, Paddy Jarman and Tim Jenkinson touching down. Results also went against second-from-bottom Saltash, who now found themselves seven points off safety. They will be hoping they can beat bottom side and fellow winless club Bideford in their next league game. 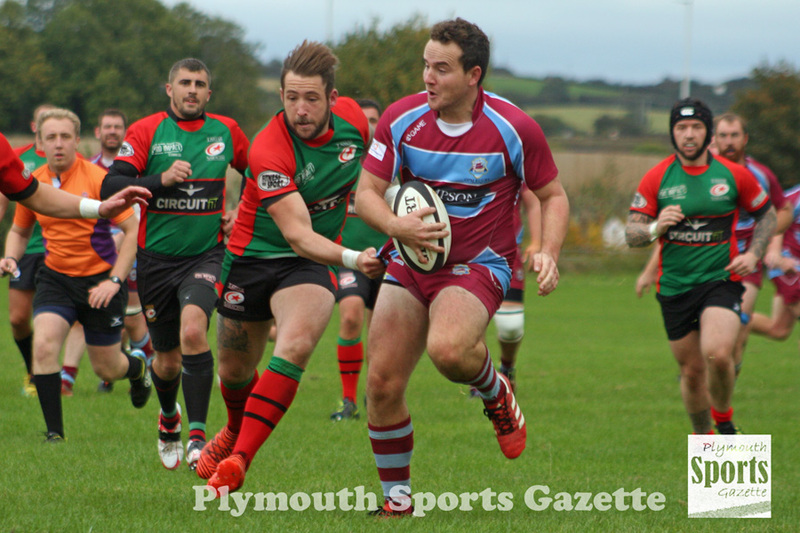 PLYMSTOCK Albion Oaks remain at the top of the Cornwall/Devon League after running in seven tries to beat Tavistock 45-7 at a windy Horsham Fields. Oaks scored three of their tries in the first half, with four coming after the break. Regan Spencer got two of their touch-downs, with Andy Porter, Corey Jamieson, Corey Jenkinson, Tom Richards and Will Booth also crossing. Fly-half Al Murray kicked five conversions to take his tally to 26 points in two games since his move from neighbours Argaum. “We are six out of six now so the club is in a good place,” said player-coach Aiden Taylor. “The second team also won. He added: “We didn’t take them (Tavistock) lightly. They got two teams out as they played our second team also so they had good availability. Tavistock spent much of the game defending. Their only points came in the second half when young forward Jasper Cameron scored and Dave Milligan converted. “We just defended,” admitted Tavistock’s Hammy Kerswill. “We went back to what we were like three weeks ago and just defended for nearly the whole game. “We actually started quite well defending but they eventually scored as teams do when they have possession for a long period. “We just didn’t keep hold of the ball. We lacked support into contact. Tavistock felt Oaks’ third try on the stroke of half-time was crucial. The visitors were not helped by losing fly-half Jack Easton with injury early on. 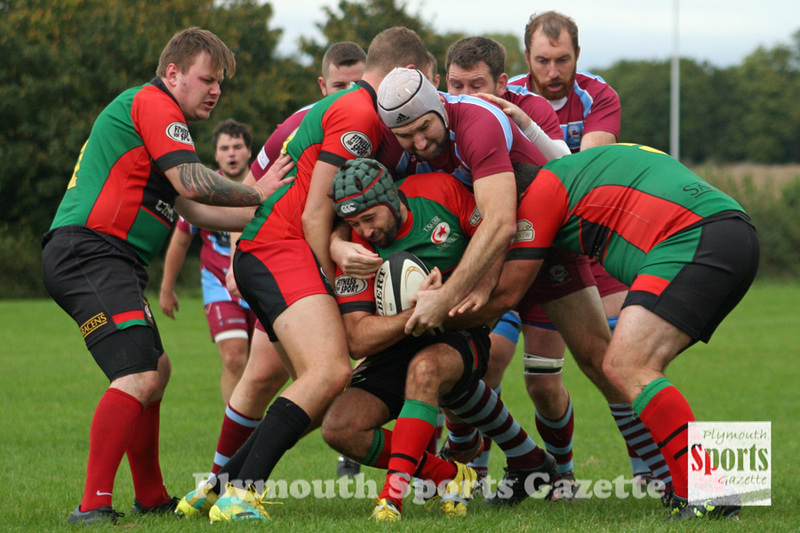 Meanwhile, Plymouth Argaum returned to winning ways with a hard-earned 12-5 home victory over Topsham. It was their first win in four games and was down to some impressive defending in windy conditions. “It was an incredibly sound performance,” said Argaum’s Stuart Quarterman. “Topsham’s backs had the potential to be very, very good, but we were very solid in defence with nearly every tackle made. “There were lots of big performances all over the park. Argaum played against the wind and up the slope in the first half and so were relatively happy to go in at the break all-square at 5-5. The returning Mason Edwards, back from a spell working overseas, scored their try in the opening 40 minutes. What proved to be the winning try came in the second half when a great Tom Worboys run set up Jake Turfrey to score and Tom Shepherd added the conversion. 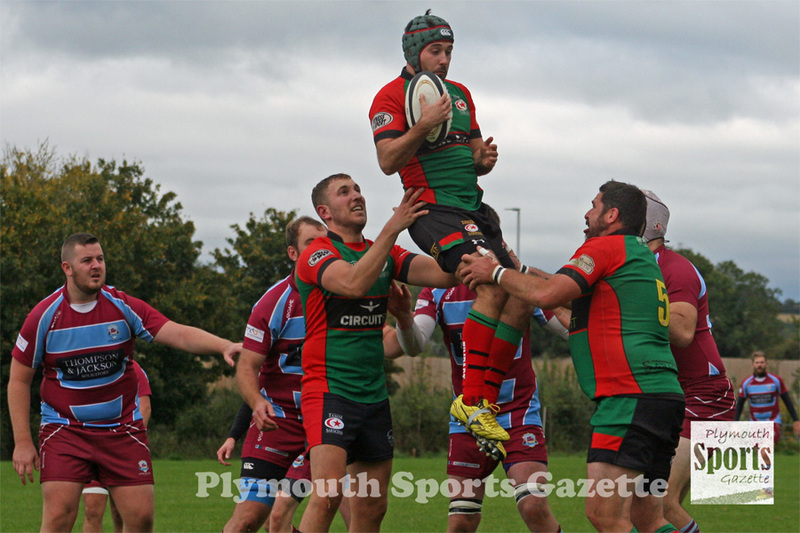 Liskeard-Looe also returned to winning way when they beat bottom club Hayle 32-5 at Lux Park. It was a busy afternoon at King George V Playing Fields with three matches going on. One of those saw Plympton Victoria get their first win of the season when they beat old rivals DHSOB 23-17 in a game of contrasting halves. Plym Vic totally dominated the opening 40 minutes, but DSHOB came back after the break and gave their hosts a real scare. 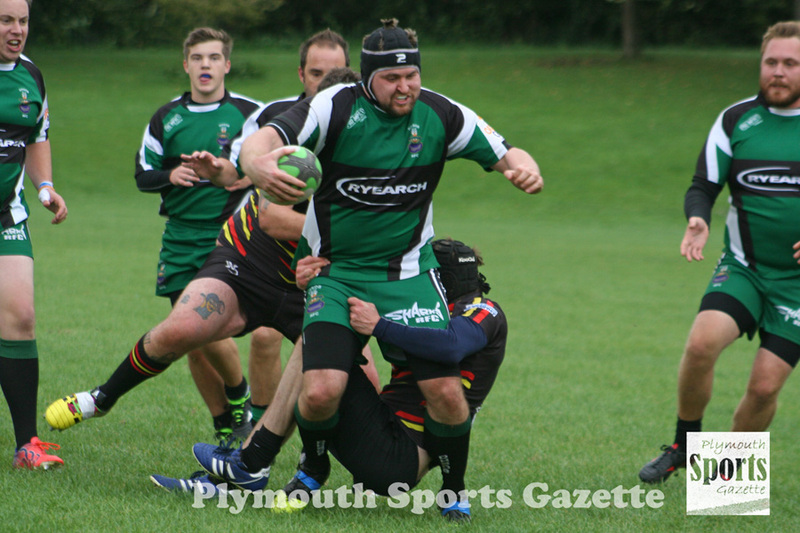 “We could have done without the half-time break,” said Plym Vic’s Chris Hunt. “We just lost our heads second half. “I think we thought the game was won and switched off and it took a right shock for us to get back into it. “In the first half I thought we played some great rugby and kept them to nil, but second half we let them back into it. We can’t lose focus like that. DHSOB’s Martyn Ruskin, who had an impact when he came on, said: “We were awful first half. We just threw it away. We just did not seem to turn up and we let them dictate it. “There were some very harsh words at half-time and we came back and had it not been for the rugby Gods we would have finished the job. St Columba & Torpoint were frustrated to only pick up two points away at Salcombe. The Saints lost 36-26 but it was only a late try by Salcombe that sealed an entertaining game. The visitors made a poor start and found themselves 12-0 down after two tries against the run of play. But Saints got back into the game when imposing centre Clark went over in the corner. Salcombe added a third to go 19-5 up, but the visitors cut that lead to seven points at the break when full-back Kieran Hurrell cut through the host’s defence to score and convert. St Columba levelled the match after the interval when Hurrell scored from 50 metres for his 10th of the season. He also converted. However, the game turned with two quick Salcombe tries to go 31-19 ahead. But Saints refused to give up and Lewis Chambers capped an excellent performance from the pack by scoring from close range. Hurrell converted to leave his side just five points behind. The visitors went looking for a winning try but they got caught out doing so and Salcombe scored a fifth to seal the match. Saints, though, felt there were plenty of positives from the match against a team that beat them by 40 points last term. James Cooper, Max Rawlinson, Marco Alfano-Rogers, Henry Watts, Finn Nicholls and Liam Wills scored Salcombe’s tries.